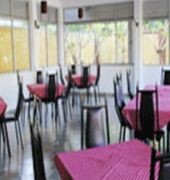 Kent Hotel is located southeast of Sri Lanka on Hambantota District in the town of Tissamaharama. The town mainly serves as a starting point for visits to Yala National Park and Kataragama and the hotel is approximately 229km from Colombo. 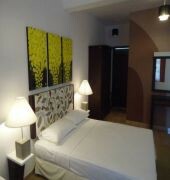 Accommodations are equipped with air-conditioning, TV with satellite channels, internet access and en suite bathroom. 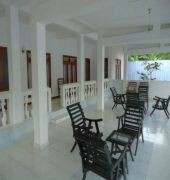 Some of the rooms include a balcony and a fridge. Buffet breakfast and lunch are served daily and special themed buffets are offered for dinner. International a la carte menu is also available featuring Asian specialty dishes. In addition, the bar offers a wide selection of wines and cocktails. 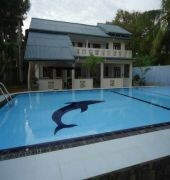 Other facilities and services include an outdoor pool, TV lounge, internet cafe and safari tours can be arranged on request. The Ruhunu National Park in Yala, Udawalawe National Park and the Bundala Forest Reserve are some of the tourist destinations in the area. 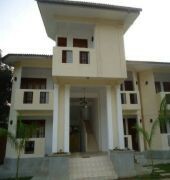 Mattala Rajapaksa International Airport is approximately 31km from the property.